Most Comfortable And Best Bike For 11 Year Old Boy. 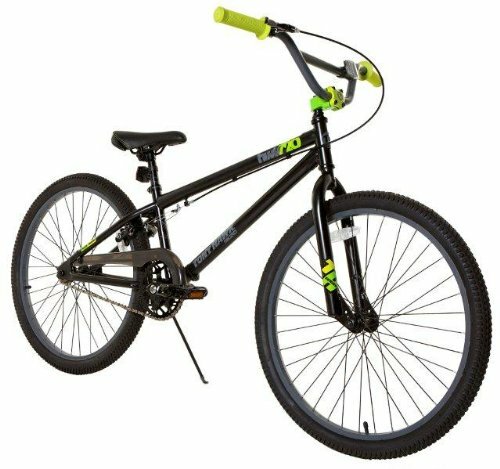 A Guide To The Best Bike For 11 Year Old Boy. At 11 years, your fast-growing boy could be looking at taking his cycling experience to the next level. 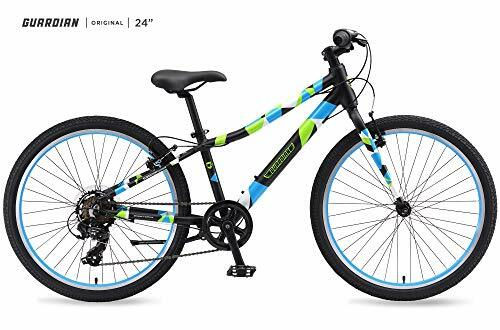 As usual, he will appreciate any help so this could be the best time to surprise him with the best bike for 11 year old boy. So, can we talk about bikes for 11 year olds and what size bike for 11 year old boy? Kids Biking Needs Vary As They Grow. The suitability of kids’ bikes is determined by age, his physical skills, self-confidence, and how much fun they find in cycling. The thing with their needs is that they seem to ‘grow’ as the boys grow. For example, at 2-4 years, he can barely ride so he needs training wheels. Then, he will learn the trade quickly and by the time he is eight or nine, he can even pull off some stunts on a BMX. The trend continues and by the time he turns 11, your son is conversant with almost all features of adult bikes. This means he has different needs at every stage. How Different Are Bikes For 11 year Old Boys Compared To Other Age Groups? All kids’ bikes are smaller but tend to use more or less the same materials in construction. You will find the frame being steel, aluminum, titanium, or carbon. The saddles will still be molded plastics, vinyl, or in some instances artificial leather. On the same note, colorful finishing and lightness don’t differ much. In general, kid’s bicycles offer enough without overwhelming the young riders. What Is The Right Size Bike For An 11 Year Old Boy? The right bike wheel size for an 11 year old boy is 24” as long as his inseam is between 60-72cms and he is about 4’5″-4’9″ tall. Remember that unlike adult bikes where it’s the frame size that matters, the wheel provides the best indicator of a bike fit for kids. Also, check the bicycle saddle- this should be preferably adjustable to allow him to touch the surface with both feet. Different Types Of Bikes For 11 Year Olds. Boys find riding mountain bikes very fun since they can cycle to the thrilling off road terrain and mountain bike trails near home. 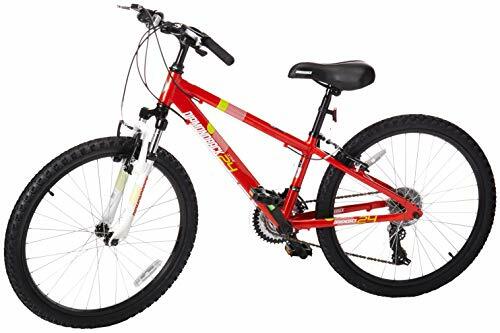 Now, the best mountain bike for 11 year old boy should be lightweight, have good suspension, adequate speeds to allow him explore even steep hills and strong braking power to help him stop instantly. 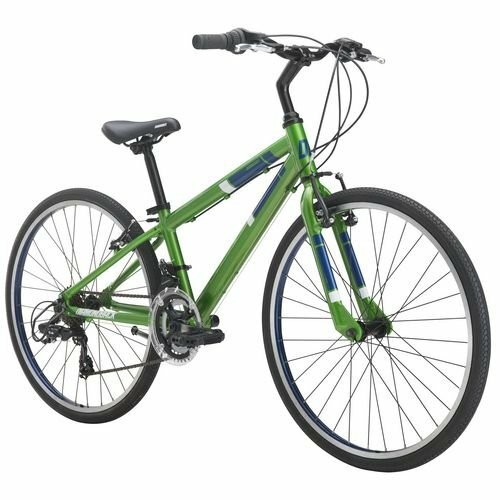 Models like the 24” roadmaster boys mountain bike are very well constructed and come with padded seats and top quality pedals. Their knobby tire treads deliver plenty of traction on pavement and dirt roads and help your little champ ride safely to extremely challenging terrain. 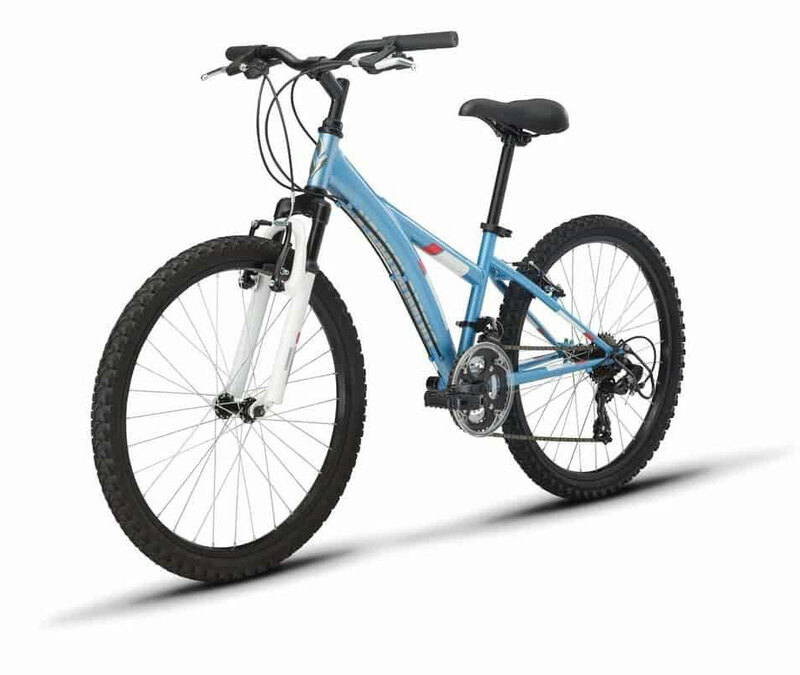 Others such as the 24” mongoose 2.1 boys mtb have 21-speeds and come with a kick-stand as a bonus. If your boy can handle thin tires, drop handlebars, and racing oriented engineering, a road bike may just make his birthday. Kids bike build for the roads are optimized for small hands and are enhanced with easy to change gear to enable your child speed through effortlessly. They also have a nice clearance for boys at this level, a steady handling, and tires that deliver excellent balance at high speed. Additionally, the design is such that it puts the boy’s torso in a more aerodynamic position not to mention the more aggressive geometry for responsive handling. The Diamond Tess Youth Road Bike captures this kind of geometry perfectly. A hybrid bike allows him to do road trips and forest tracks too. You will need awesome quality, reduced weight, and something durable enough to be passed down to the younger brother. Most kids’ hybrids have consistent brakes to tackle various conditions, light aluminum frames (most) and handlebars at an angle that gives a comfortable ride. They, however, lack suspension because of the fear of adding weight. Their tires will cruise in the neighborhood pavements as well as conquer the occasional gravel. 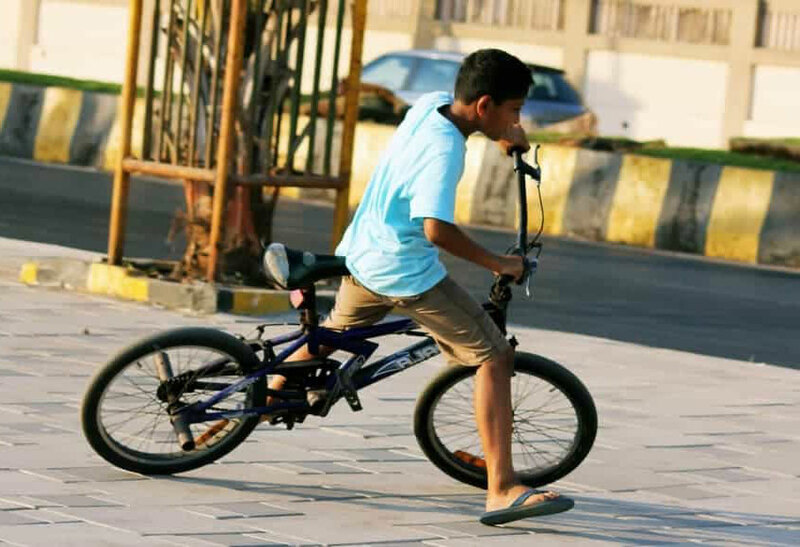 BMX bikes will allow the young lad to ride around the entire neighborhood, jump homemade ramps, and train tricks on. The bikes are again built lightweight for speed and the boyish dirt-hugging fun. The frames are top quality as they need resilience and are precisely sized for 11 year old boys. Features like alloy threaded handlebar stems boost their strength and functionality while alloy rear U-brakes provides stopping security. They also tend to come with saddle seats with adjustable clamps. One of the best in the business is the Tony Hawk Dynacraft Boys BMX and feels very right with the boys. The last group is the do-it-all bike. Their biggest attraction is the versatility which means he can use them practically anywhere even if he is still working on his skills. 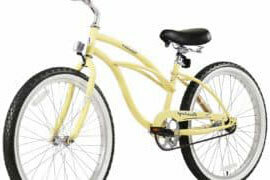 They allow easy pedaling, have easy-to-reach brakes, all terrain tires, and come in dozens of designs. Plus, they’re very safe. I am referring to bikes like the fantastic Guardian lightweight boys bike, said to be the safest in the world. Here Is What To Consider When Buying Bikes For 11 Year Old Boys. Sizing is so crucial because it affects comfort and his ability to control it. I mentioned that the best size for an 11 year old guy should be 24-inches. Of course, you must measure his inseam first. Some boys are agiler and fitter than their friends and may find a standard bike boring. Consider buying him a challenging bike like a BMX if he’s adventurous and in tip-top shape. Some weigh more and will need a bike to support the extra pounds. At the same time, those with physical weaknesses will be at home with bikes which have been adapted for special needs, for example, tricycles. Also look at his composure and affection for cycling. Steel frames are mostly durable though heavier. Titanium, aluminum, and carbon are the other dominant options with titanium rated very close to steel in terms of longevity. The best kids’ bikes should be lightweight. This makes them easier to lift as part of the play and faster when speeding downhill. Carbon is pretty durable, has amazing aerodynamics, and is very light. Aluminum and titanium are also superb options for speed-loving boys though not as aero as carbon. 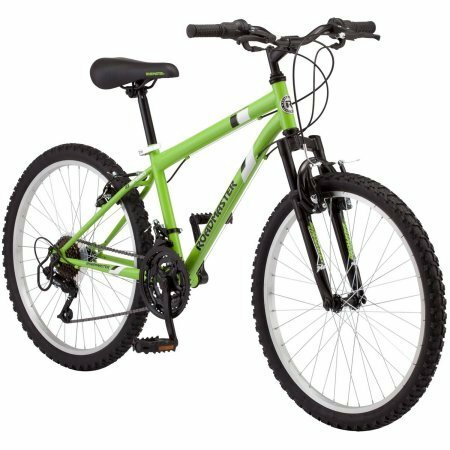 There are some pretty inexpensive bikes and some costly bikes for 11 year olds. Now, here it’s your budget that speaks. While not always easy, it’s possible to stumble on a reasonable quality at a cheaper price. On the other hand, some of the sleekest brands will be pricey but often prove to be good value for money. And don’t forget the other features even as you look at the pricing. In most cases, the bikes arrive with their simple to follow, step-by-step instructions and assembly tools to help you get it up and running in a short while. Unfortunately, this is not always the case so take your time and investigate the manuals and overall instructions. While single-speed models guarantee safety, they struggle going uphill. And it’s not just that: You and I know that as he perfects his cycling, he will want to ride more quickly and test his skills using a good multi-speed bike. A multi-speed bike enables your child to climb easily and maneuver city roads and sidewalks at greater speeds even if for fun. Even if not a deal breaker, your son may feel more proud showing off a cool looking bike to his friends. Colored handlebars, chainguards, and decorated crossbar pads all contribute to stunning looks. Knobby and semi-knobby tires are superb for riding on loose terrain and dirt. The tire tread should ideally balance dirt paths while remaining smooth enough for the regular neighborhood riding. The wheel size and design should also support adventurous cycling when called upon to. Brakes crank & bottom bracket sets, fenders, and luggage rack are some other thoughtful considerations. And if it can offer a significant resale value in the future, then you’ll have made a smart choice. The best bike for 11 year old boy is that which fits him and is comfortable through and through. First, you need to ensure it’s the right wheel size (about 24-inches) and well-built to support his different needs. His riding style, preferences, and biking competence will also inform your decision as you compare the various road bikes, BMXs, mtbs, and the rest. Also, know that just like a bike for 11 year old girl, 11 year old boy bikes should be light, easy to handle, and safe to make riding fun. If you get it right, your son or niece will forever be grateful for your kind gesture.